Here is my Artist Interview with Voyage LA Magazine. I am grateful and feel blessed for being a featured artist for their publication. Thank you Voyage LA for the wonderful opportunity you have given me! 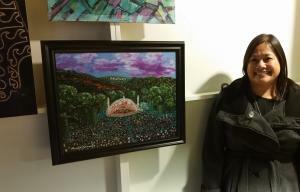 I am a participating artist for the Downey Symphonic Concert and Masters Art Exhibit. Mark you calendars for Saturday, January 20th. 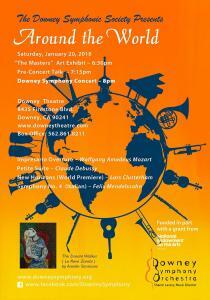 Let the Downey Symphony take you on a trip "Around the World". Experience works by Mozart, Debussy, Mendelssohn, and a world premiere by Downey's very own Lars Clutterham. The doors open early at 6:30pm for the art exhibit "The Masters" presented by the Downey Arts Coalition, it will be an evening you don't want to miss. Click on the link to the promo video for the upcoming Open Studio Art Party which takes place on Saturday Aug. 20,2016 from 4:00PM to 9:00 PM. The video shows my live painting from the last event back in May 2016.
which airs on Saturdays at 8 pm and Sundays at 9 pm. Here is the artist and exhibit catalog to the WE Labs Opening Reception at the Packard. 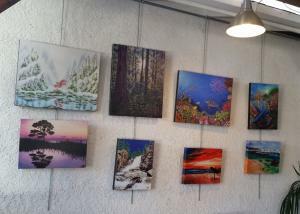 Artists are listed in alphabetical order, so I am near the end (Amelie Simmons).